Moisture free knit keeps you dry and comfortable. 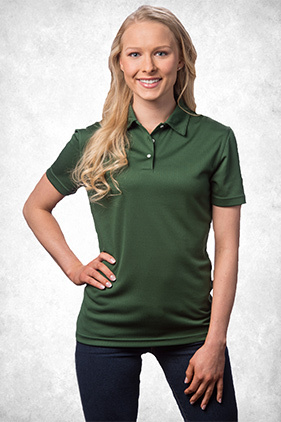 100% polyester 4 ounce sport shirt with moisture free technology to wick moisture away from body keeping you cool. Taped neck seam. Double needle stitching and moon patches. Hem sleeves and white pearlized buttons. Self collar, feminine placket, No side vents.